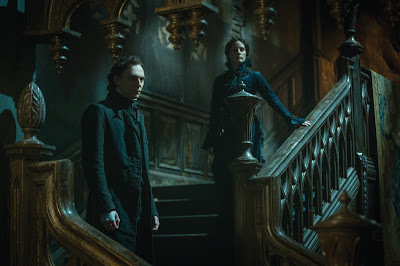 Why did I go to the movies on Friday (to see Straight Outta Compton--a great film) and was entranced by the preview for CRIMSON PEAK, which I hadn't even heard of until that moment. It looks very Walking Dead meets Penny Dreadful. 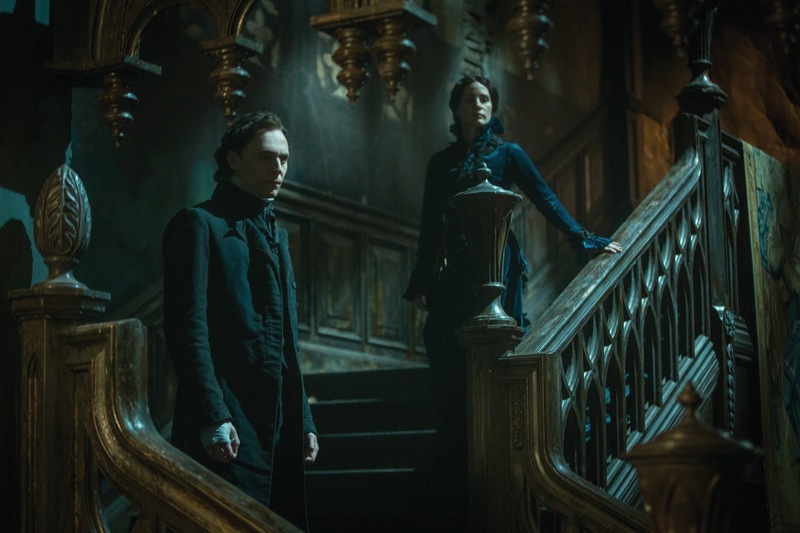 Plus, it stars Mia Wasikowska, Jessica Chastain, Tom Hiddleston, AND Charlie Hunnam, and is directed by Guillermo del Toro. I can dig it. I can so dig it. CRIMSON PEAK opens in theaters October 16. 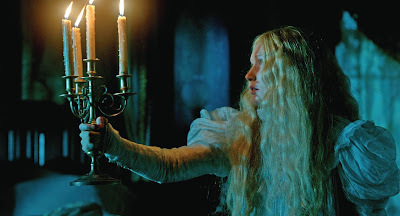 Visually and narratively Del Toro achieves to bring influences of Alfred Hitchcock, Max Ophus, Martin Scorsese, Stanley Kubrick and many other great directors without loosing his own signature and style.